I have all the Shardlake Mystery Series books and have re-listened to each book at least once. 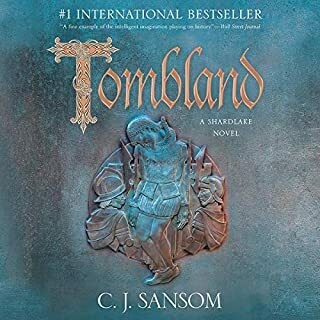 When Tombland came out I was very excited and could not wait to start. Upon listening, my enthuseum dropped like a rock from a cliff. This was not really a Shardlake mystery as much as the Shardlake charactors were used to explain the enclosures of the common lands in 1949 England. The book was 37+ hours long, but the "mystery" attention was probably less than two or three hours, the remaining 34+ hours was a history lesson about the cause and justification of the rebellions. All 34+ hours of history lesson could have been cut and the mystery could have still been solved.